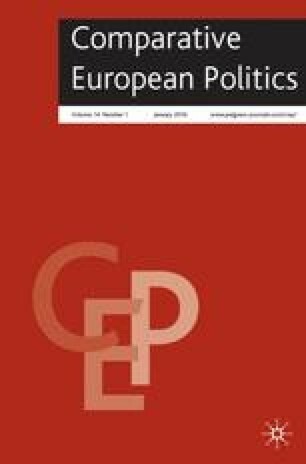 Since the initial rise of Radical Right-wing Populist parties (RRPs) in the mid-1980s, comparative analyses have tried to identify the core social and attitudinal elements to these parties' electorates and changes therein. To date, none of these has been accepted as providing a satisfactory typology of RRPs. Regional differences between these parties, in particular between the Scandinavian Radical Right and the ‘Continental’ Extreme Right, have constituted one element of diversity informing much of the literature on these cases. However, many have recently emphasized the apparent convergence towards a common RRP type in Western Europe, away from the parties' differing roots. This paper looks at evidence of such shifts in RRP electorates, concentrating on diachronic and synchronic comparisons of their social profile. It finds that, while there are indeed shifts in the party electorates across time, these do not correspond entirely to the perception of a convergence of RRP types, and indeed that, on key social indicators such as education and class, the dynamics do not correspond to those commonly held in the comparative literature.